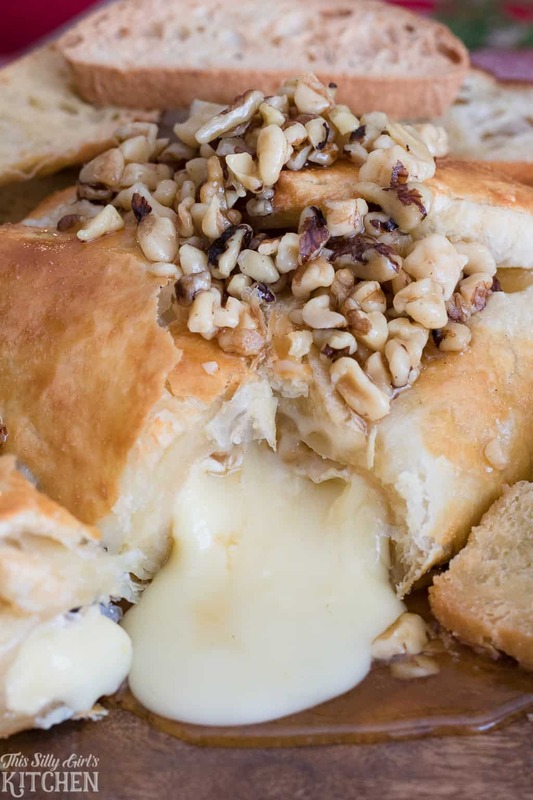 Baked Brie with walnuts and honey, an elegant, sweet and savory show-stopping appetizer! 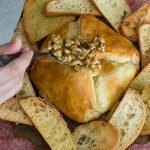 Baked Brie in puff pastry is easy to make yet amazingly delicious. 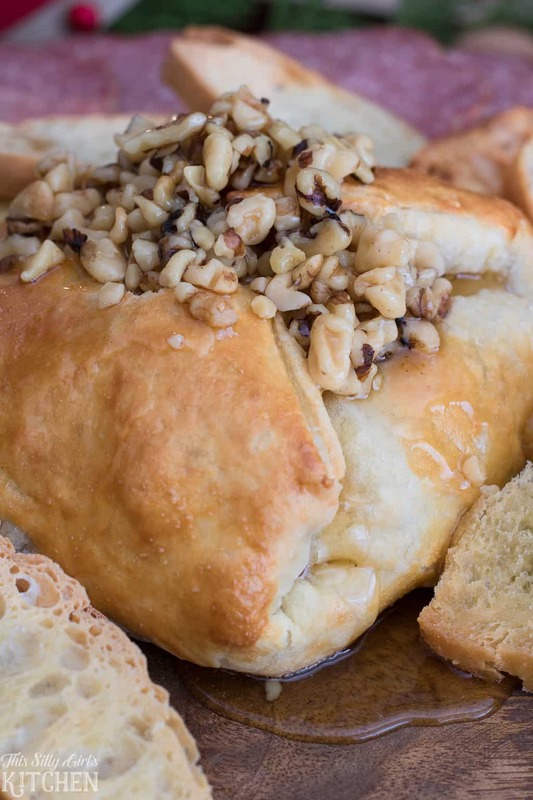 Baked Brie en croute, ooey gooey cheese wrapped in puff pastry and baked until golden brown, topped with honeyed walnuts. This post is sponsored by The Fresh Market, all opinions are 100% my own. Just… wow. How do I describe this epic appetizer? 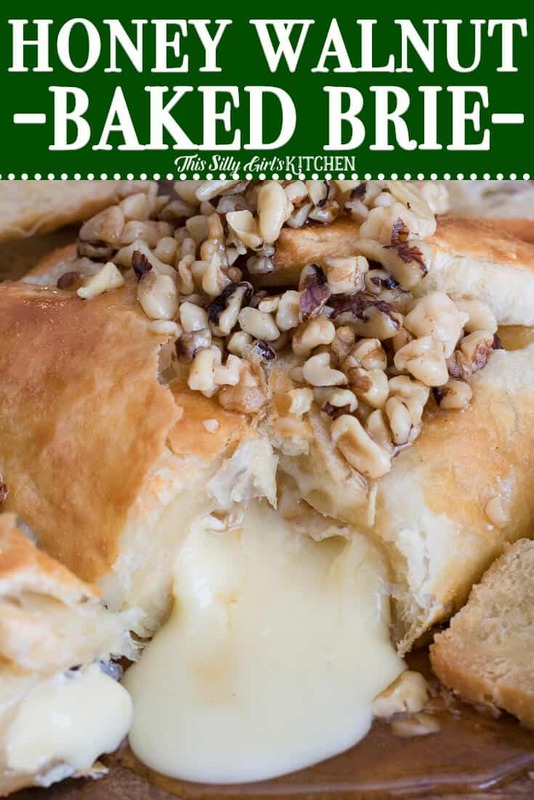 It is literally a volcano of brie dripping with honey and crunchy walnuts. Served alongside crostini and smokey salami, this combo is dynamite! 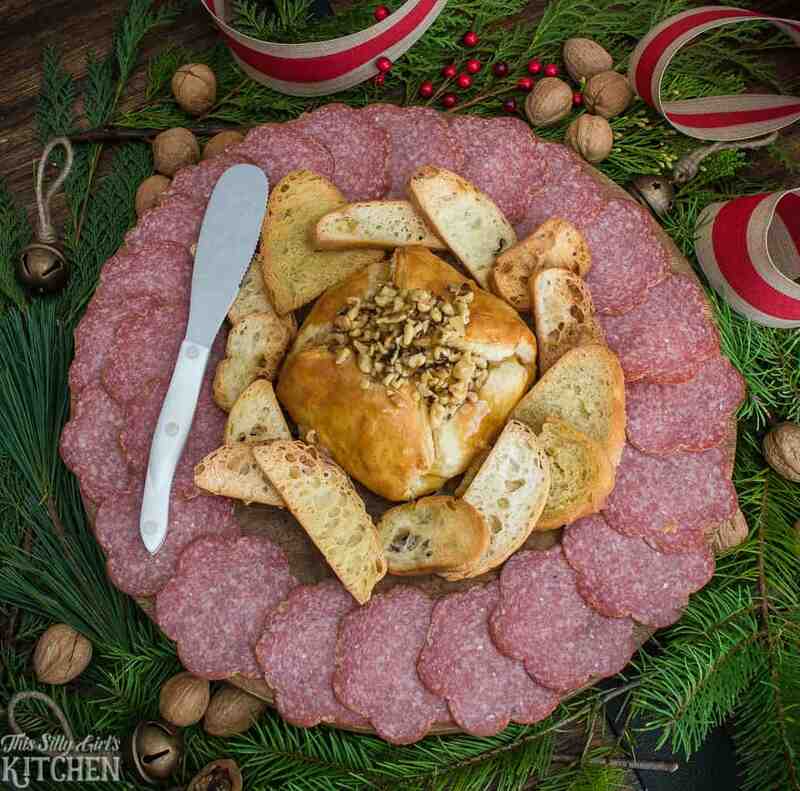 I picked up my ingredients for this baked brie appetizer at my local The Fresh Market. I asked the deli employee what a good salami would be to go alongside a sweetly baked brie and he suggested this salame di Parma. It is SO good, I’m glad I asked for a recommendation! 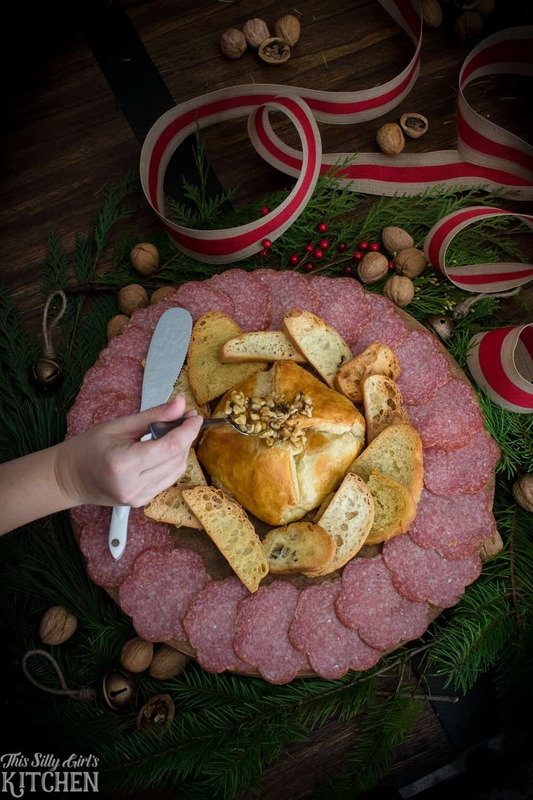 So, I know what you may be thinking… cheese, walnuts, honey, and salami? Am I crazy? Yes, a little crazy, admittedly, but I know a thing or two about food and this is just one of those times where you need to trust me. 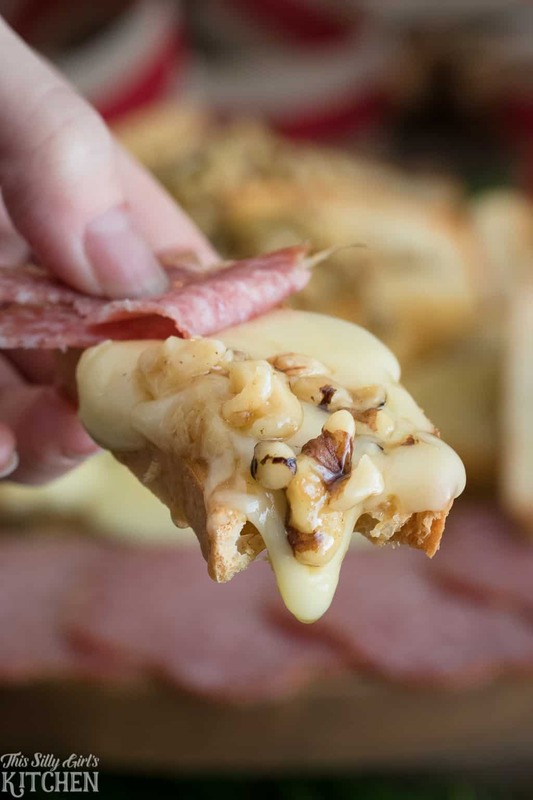 Creamy, warm brie, sweet honey, salty salami, and a little nutty crunch from the walnuts and I swear you will be making this for every get-together! Do you want to know a little secret? This is basically the easiest appetizer ever. 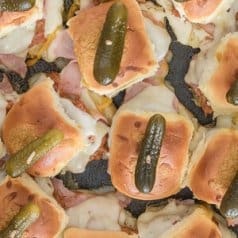 The base of this recipe is super simple and the best starter to go off of to customize however you want! Thaw puff pastry, place 8-ounce brie in the center. Top with honey and chopped walnuts. Close puff pastry around the brie, pinching the seams together. Brush with a beaten egg. Bake at 400 degrees for 40 minutes until golden brown. 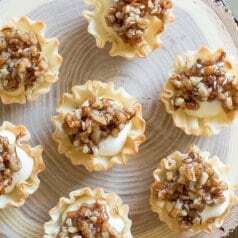 Let cool, top with more honey and walnuts. Serve with crostini and salami, optional. Of course, like I said, this is totally customizable! Use a larger wheel of brie, just make sure to roll out the puff pastry into about 12×12 inches, then follow the steps the same. 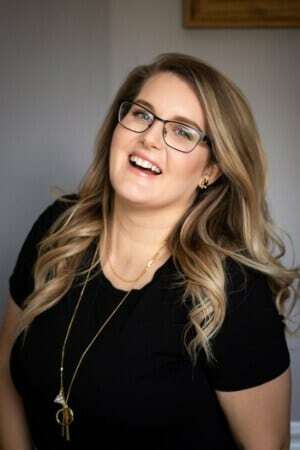 Use other toppings such as caramelized onions, roasted garlic, crumbled bacon, cranberry sauce, pepper jelly, with jam, the list goes on and on! You don’t have to place more toppings on the top of the baked brie, I just thought it made for a nice presentation. You can stuff everything inside instead! 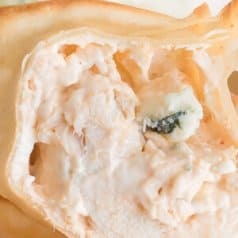 I have also heard you can bake brie in crescent rolls, have you tried that?? Sounds mouthwatering to me. 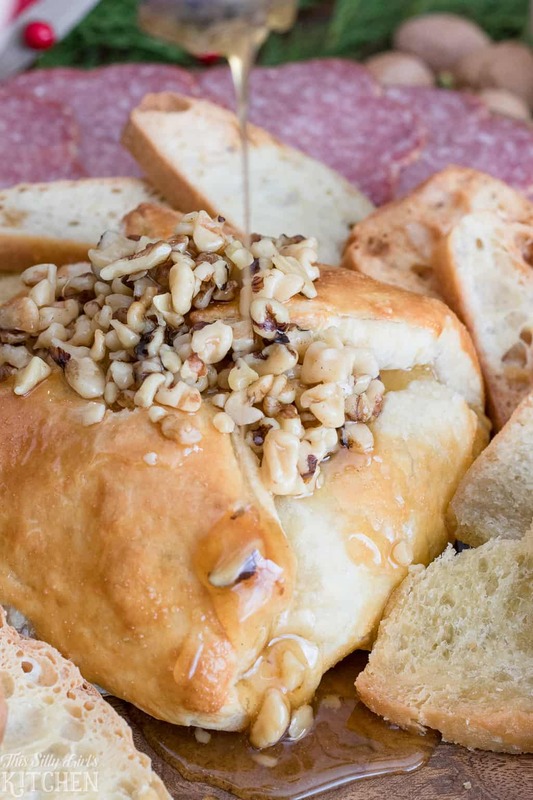 Honey Walnut Baked Brie, an elegant, show-stopping appetizer! Preheat oven to 400 degrees. Place brie in the middle of the puff pastry. Drizzle 3 tablespoons of honey on top. Add a handful of the walnuts on top. Fold puff pastry over the brie, making sure it is sealed. Press seams together. Brush with the egg, bake for 40 minutes until golden brown on a parchment paper-lined baking sheet. Take out of the oven and let sit on the counter, cool for at least 10 minutes. Transfer to serving platter. Mix together the remaining honey and walnuts. Pour on top. 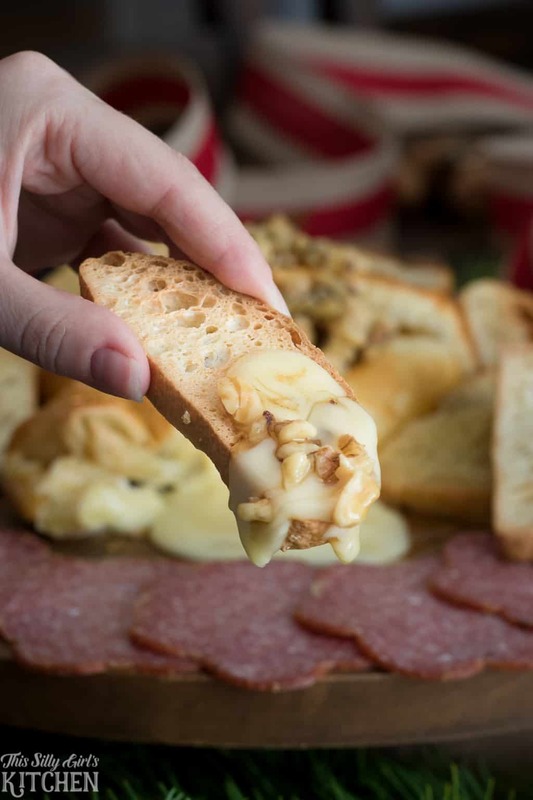 Serve with crostini and salami, optional. That has about every single one of my favorite ingredients all in one. YUM! That looks like the perfect start to a holiday get together!